Citizens of Bengaluru were delighted to notice the tough action taken against the perpetrators of the city’s biggest eyesores – the polluting buntings and banners. These ugly and disfiguring hoardings used to obstruct straight vision and trigger off accidents by diverting motorists. For the past one month, thanks to the ultimatum by Karnataka High Court Chief Justice subsequent to a couple of PILs; the buntings were removed on a war footing. But now, for the past few days banners and buntings have started slowly popping up trampling the ban order. 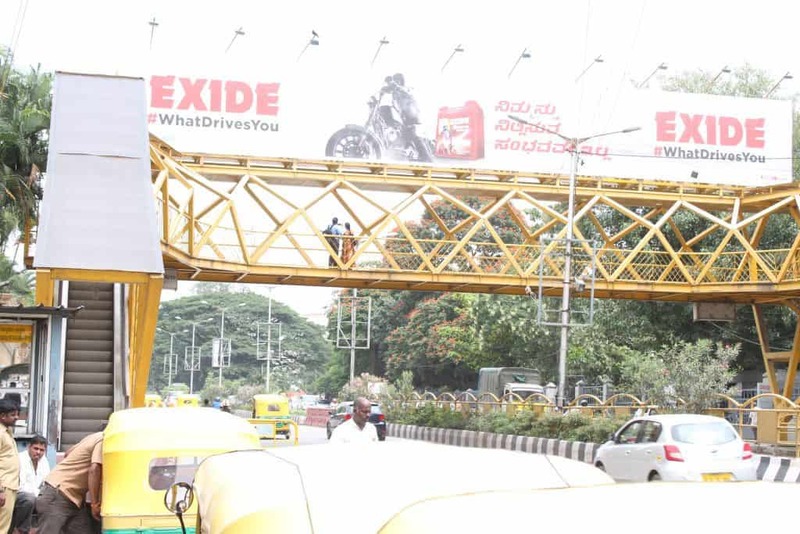 A few days back huge banners were being fixed across the pedestrian bridges on Hosur Road in front of Christ University, Forum mall and a few places in Adugodi. They carry the name of the agency Rajdeep, Excide battery and Popular respectively. Such banners on both sides of the bridge provide hideouts for antisocial activities too. 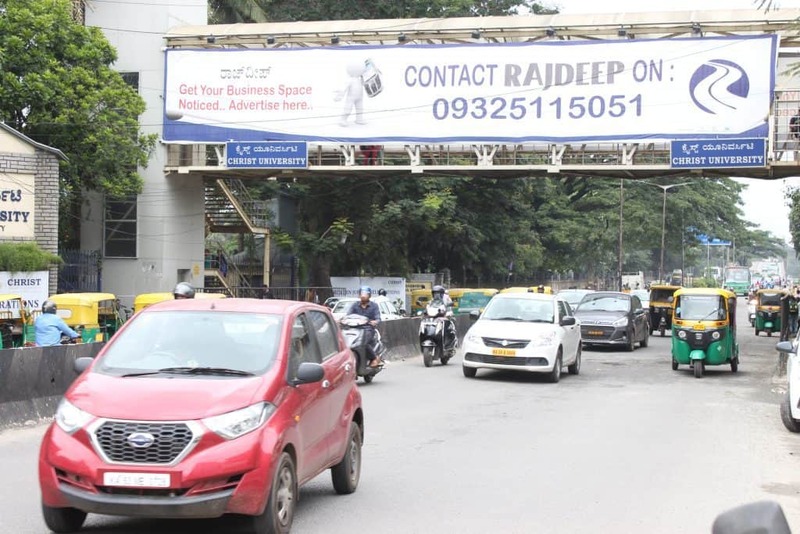 When the phone number mentioned in the Rajdeep banner was contacted, they claimed that they have special permission from the commissioner of BBMP. It is very unfortunate that just within a month of their removal and even after the final ruling by High Court to completely prohibit them, some unholy nexus is in operation to sabotage the move against such illegal advertisement hoardings. The concerned authorities need to look into the matter. From Shivaji nagar to Ulsoor. From Ramaswamy Palya to Sivan Chetty Gardens and Kamaraj Road Nala, every resident was there to witness the historic occasion.